You will now find my artwork at Somerset House in the Courtauld Institute East Wing X exhibition. There to inspire the students the venue is open on the last weekend of every month for the public over the next 18months. Details here. The photographic piece ‘Crystalize’ is displayed going down towards the lower levels in an alcove. 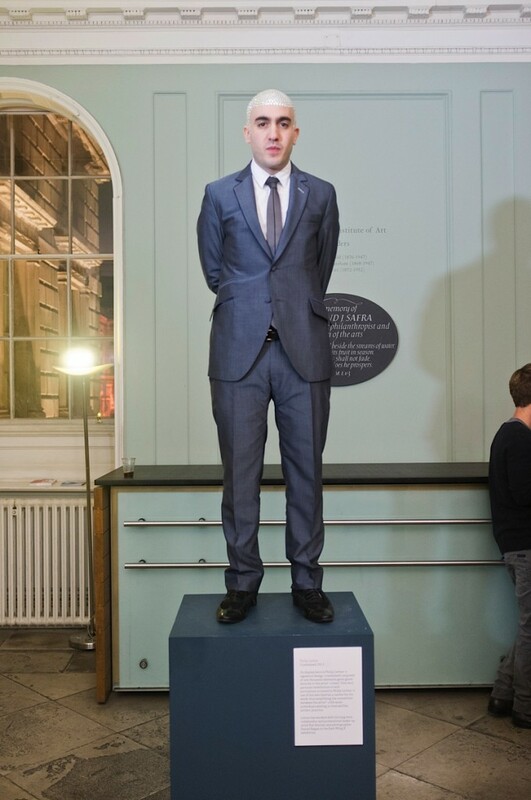 Below was the picture of me at the private view displayed on a plinth talking to the public as they entered. Photograph by Daniel Regan.